Angels owner Arte Moreno spoke to reporters, including Jeff Fletcher of the Orange County Register, early Saturday, and he spoke about the team’s payroll in upcoming seasons and its future in its current stadium. Here’s some of what he had to say. The Angels will remain in Angel Stadium until 2028 or beyond, according to Moreno. The team’s stadium deal contained the option to leave by 2019, but the Angels have no immediate plans to leave and would not be able to build a new stadium by then anyway. Instead, they will focus on upgrading their current ballpark. In addition to their option to leave their stadium by 2028, they also have an option to leave by 2038. Arguably one of the worst owners in the MLB. He is completely lost when in comes to baseball decisions. If he does not get it, that’s okay. The least he can do is put the people around him that does, then stay out of the way. Sad organization from A ball to MLB, on up to the front office. This is an owner who has made mistakes with gm’s and FA’s. But everything he’s done is for the fans. He walks around during games and chats with fans. He keeps prices down at the park and it’s a great place to see a game (and compared to Dodger stadium, SAFE!). $8 for parking…Dodger stadium starts at $20. No confusion because one guy owns the team and is not answering to partners and investors. The worst owner in baseball…not even close. lmao “he spends” – how did that spending turn out for you? When it comes to drafting and developing he’s a nightmare. Trout was mere luck and should have gone top 10 but he was judged on where he played, not who he was. How exactly is the owner in charge of drafting players? That’s the GM’s and the scouting department’s job. The only role an owner has is to hire/fire, set the budget, and, at times, work to attract big-time FAs such as Pujols and Hamilton. Moreno fired the Scout who found Trout. Some of the bad owners out there. Marlins, Pirates, Mets, Orioles to name a few. The Wilpon’s lead the list of worst owners. They run a major market team on a minor market operating budget. With their obsession to the Brooklyn Dodgers, they disrespect the little history the team can look back on positively. There goes HaloShane again criticizing every thing related to the angels organization…. same foe Eppler and Sciossa. Once again Halosane, change your name please, its a disgrace to angels fans to hear someone with “halo” in his name talk so bad about our team. If you seriously want to stand behind a comment, the you need a new sport. You’re just bitter at their missing the playoffs the past 2 seasons. No owner can do anything by such a team thinned out by injuries for just about a whole season. Especially with their pitching, starters and relievers: Heaney, Tropeano, Richards, Wilson, Bedrosian, Street, Skaggs. With all that, Shoemaker and Santiago (until traded) anchored upon a patchwork rotation, until Shoe went down on Labor day. It’s a good team without so many injuries! Moreno truly thinks he is the premier Baseball Mind in MLB. No joke. He is also a pathological liar. If they didn’t have Trout and Pujols, they would be irrelevant. Moreno possesses terrible judgement when it comes to FA. His team will be burdened by the Pujols contract for years to come. Oh, and their Single A team stunk so bad last season that I quit going to their games. You must follow the Angels as well, because you are 100% correct. Really, you could just say Trout….. AP has become a poor mans David Ortiz. No, I just happen to be a Tribe fan who lives in SoKal…..hence my name. Live 5 minutes from San Bernardino, so that’s where I go for some games. And you’re right about AP. Dude can barely run anymore. They paid a lot for what is essentially a DH. Ryan says the fans come out to watch a First Ballot Hall of Famer, Albert Pujols. Pujols cant run. He is the slowest player in MLB? right? The fans come to watch the Angels because of Mike Trout, the BEST PLAYER on the planet. Umm, if they didn’t have Trout and Pujols they’d have $50 million more in AAV freed up to spend on a lot of depth. So yeah, they’d actually be more relevant. Saying that Arte possesses terrible judgement is total armchair. Any fan who tries to say they wouldn’t be ecstatic if Pujols signed with their team in 2012 is a liar. And there’s $170 million in AAV left on their payroll after Albert’s contract. Poor excuse. Arte does what he does for the fans and few owners in sports will even do that. At least he’s opened his wallet and tried. Signing Pujols to a 10-year contract at his age at the time was not a smart move. As for Moreno opening his wallet and trying? Where’s it got them since signing Hamilton, Pujols, and Wilson? None of that matters. If every organization was given a high payroll they’d go after any top tier free agent they can get their hands on. Albert Pujols, Josh Hamilton, and CJ Wilson included. The only reason certain ball clubs steer clear of a contract like Pujols is because they don’t have the money or just have a stingy owner. Building through a farm system is first and foremost about saving money for those franchises. Because it’s a business. But give every front office $200 million to spend every offseason, and it’s off to the races in the free agent market. Albert Pujols was a move the Angels needed to make to let everyone, especially their fans, know they were still serious about contending, and to keep butts in the seats. And now Angels fans like myself get to watch a first ballot Hall of Famer and all time great reach historic milestones, while doing it alongside the game’s best player. Ryan is well known as having his nose in the brown eye of Arte Moreno, Ryan knows very little about the Game of Baseball. The Pujols contract is a disaster. C’mon, arte says he “lets the Baseball people make the Baseball decisions”. Trout is wasting away on this joke of a team. I concur, what makes it bad…. is that it’s not just the team. It’s the whole organization from top to bottom. Not many teams in any sport you can say that about. Hell! This organization is so lost, that they think that they are in LA. Not only are they NOT in the city of LA, they are NOT even in LA County. Thank you McDusty31. I’m straight forward and tell it how it is. Shane, you are knowledgeable and honest. You should google Los Angeles Angels Pacific Coast League. Check out their logo and also google who shared a stadium with the Angels their first season. So a minor league team that had affiliations to the Cubs and then the Dodgers is related to the expansion club of 1961 in which alternate reality? Are you referring to the franchise that is now the El Paso Chihuahuas? My bad, you’re right … O’Malley buying the Los Angeles Angels rights when they were in the PCL, taking their logo, then selling their rights to Gene Autry and becoming an expansion team in 1961 and sharing dodger stadium from 1962-1965 has no relevance on the “Why are the Angels called Los Angeles Angels” discussion. They’re called LAA for marketing reasons. That’s it. Any reference to a non major league team from the 1950s is secondary and inconsequential. Marketing reasons? NO way. If the Angels were winning they could be the Bakersfield Angels and have a better brand. Arte lied when he said he would not change the name. Huh? Hard to understand what you’re trying to say here lowtalker1 (great reference to a Seinfeld episode though). Clearly you aren’t from the LA area or you wouldn’t care about the technicalities of the county and city boundaries. I suppose Disneyland and all of the production that comes out of Anaheim is irrelevant in your mind as well? And clearly you aren’t much of an Angels fan, because you’d know that Arte was bringing the name back for historical purposes. I doubt you’re even much a decent baseball watcher as you seem like quite the fair weather fan. I do feel sorry for Trout, and he won’t be a Free Agent until after the 2019 or 2020 season. Did he say when his team would stop being trash? Well there’s an option for 2028 but likely closer to the 2038 deadline. Well they said likely 2028 but I’m feeling more like the 2038 deadline is more realistic. Shane is just an idiot and should be ignored on this site by everyone! Arte isnt prefect but he is committed to building a winner. His mistakes (Pujols/Hamilton) were in good conscience and were clearly in an effort to improve the team. Hard to fault a guy for throwing money at a problem when that’s what he has as a solution. The Angels are not the trainwreck that people seem to believe they are. Farm is trending in the right direction. Payroll is approaching normality. Big club has lots of talent. Outlook is nice from my perspective. Arte wanted to show up the Rangers with the Wilson and Hamilton signings because he only looked at their past good seasons and ignored red flags of slackening performance. His desire to pluck declining players away from rivals cost his team and their fans. It was pure avarice and arrogance. Heart never came into it. arte is a “TV OWNER”. He loves being on TV, which is why he dyes his hair and wears the Bright Red Polo shirts. Arte went and got albert because of the 3 home runs albert hit in the World series. He got CJ because he was in that same series and arte was smitten by him. Then he went and got Josh who was a free agent and was in that same Series he saw on TV. Arte figured they could take HIM to the Series. Arte thought he had “STOLEN” CJ and Josh from the hated Rangers! He has nothing to prove. He’s opened his wallet and tried what he could for the fans unlike most sports owners. You should think first as well, because your team is eating up huge contracts to Fielder and Choo. All owners meddle btw. You have to sell the franchise to marquee players to get them to sign. Arte just needs to keep doing what he’s doing and let the Angels’ window open up again like everyone else. Ryan KroI, I don’t always agree with agree with you, but I do respect and enjoy reading your opinions. Ryan, If arte is so savvy and smart as you always say, why did he trade Napoli for Vernon Wells? Why did he trade Jean Sugura to “rent” Greinke? Why did he sign Gary Mathews, Jr? Go read the USA TODAY article and see Arte’s quotes about Josh Hamilton and Trumbo. Then tell us how smart he is. No team would gut its own farm system to trade for Trump, assuming that franchise had the players to begin with. And the Yankees don’t, though they continue to lead the league in irrational hype for the prospects. So the concept of the Angels “needing” to trade Trout is a stupid–really stupid–meme which is routinely trotted out by those who don’t have a clue about the business side of baseball. Sometimes? Name one time! Artie spending has led them to no success, and being that he refuses to care about his farm system, he can’t have misfires on FA’s and trades, and he has, repeatedly. It’s funny reading Arte Moreno get trashed as a bad owner for doing the things Bob Nutting gets trashed as a bad owner for not doing. They want a good farm system and analytics and better drafting and development and don’t care about MLB payroll….Nutting is ready to trade fans right now. I am no Angels fan and am thrilled with the ways the three signings mentioned have not turned out for them. But, Moreno obviously loves the team and though has made bad decisions still puts his money and commitment out there. Reminds me of the Tigers former owner. The deals both made turned sour but their heart was still there. So refreshing to see a team not demand a new stadium. 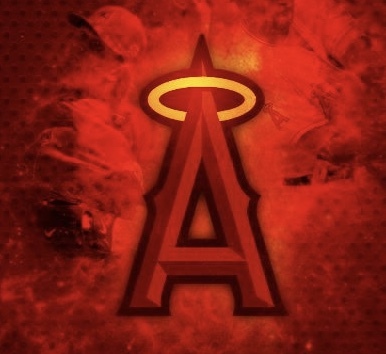 The name change to LA Angels was done for marketing purposes only. It was done to get people talking about the team. It doesn’t matter if you think it’s good or not, it makes people talk. I would have preferred that they go back to the California Angels, but I understand why they went the way they did. Either way, here’s to another year of baseball!! I can’t wait for it to get rolling!! I used to work for the team. Plus, it was a topic that was discussed with the media. It wasn’t a secret. Melina at first base would not be good.